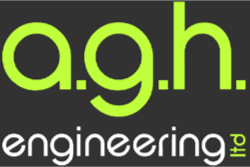 AGH Engineering Ltd is the largest independently owned Rail Industry E&M design consultancy in the UK. We provide comprehensive electrical and mechanical consultancy services ranging from feasibility and early GRIP stage development to detailed design and construction support. We have a nationwide coverage and supply directly to Network Rail as well as major suppliers to the Rail Industry. AGH Engineering Ltd was established in 2006 and is based in the centre of York. We are RISQS qualified and have achieved 5 star accreditation. We have provided our services for various high profile schemes included the Kings Cross Redevelopment project, GNGE, North Lincs, Thameslink and EGIP. Our ever growing client base includes Network Rail, Kent PHK, Siemens, Galliford Try, Volker Rail, Volker Fitzpatrick, Babcock International, Jacobs, Kier Construction, Kier Professional Services, J Murphy Ltd, Kemada, WSP Parsons Brinkerhoff, Virgin Trains East Coast and AMCO.